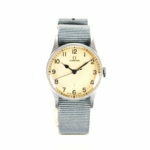 The end of the Second World War by no means brought about total peace for Britain who became involved in conflicts all over the world. 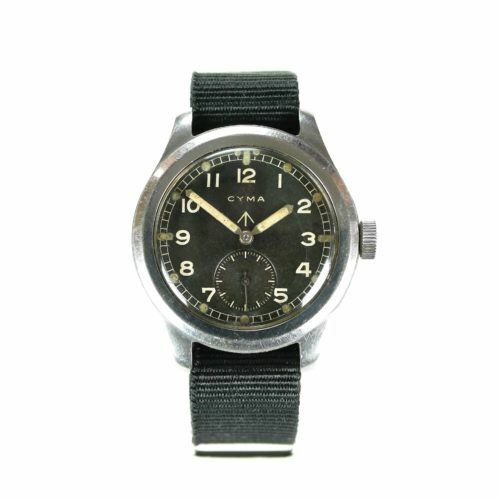 Such conflicts in Palestine, Malaya and Korea were fought with the equipment left over from WW2, which in watch terms was primarily the W.W.W’s. 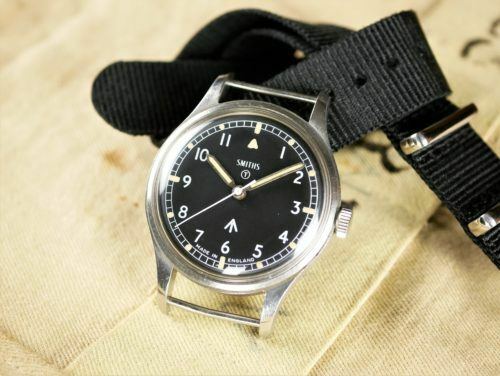 The W.W.W’s were in continued use throughout the 1950’s until they were joined, along with the Smiths Deluxe, by the Smiths W10 wristwatch. 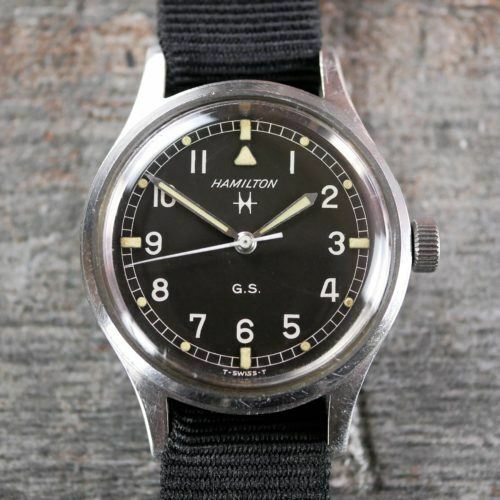 These were joined later in the early 1970’s by the W10 mechanicals by CWC and Hamilton. 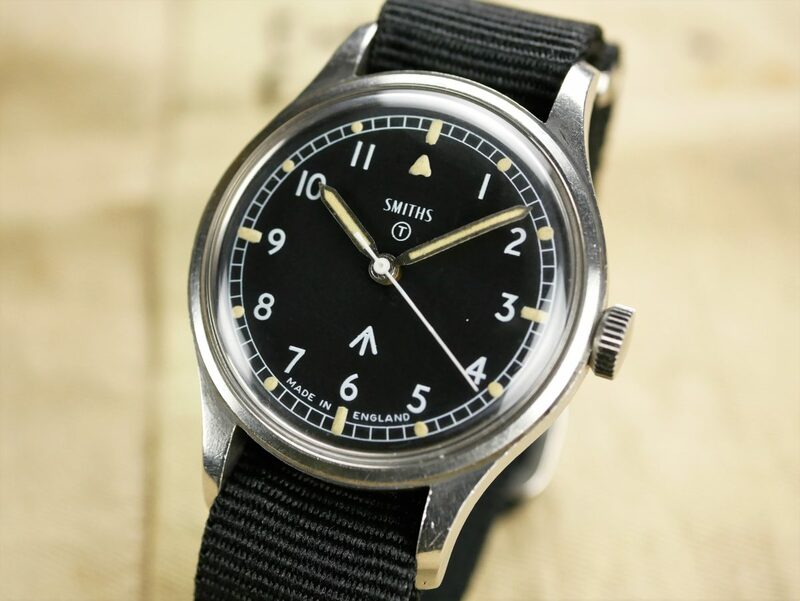 The Smiths W10’s were used by British personnel during the Falklands War in 1982 and up to the first Gulf War at the beginning of the 1990’s. 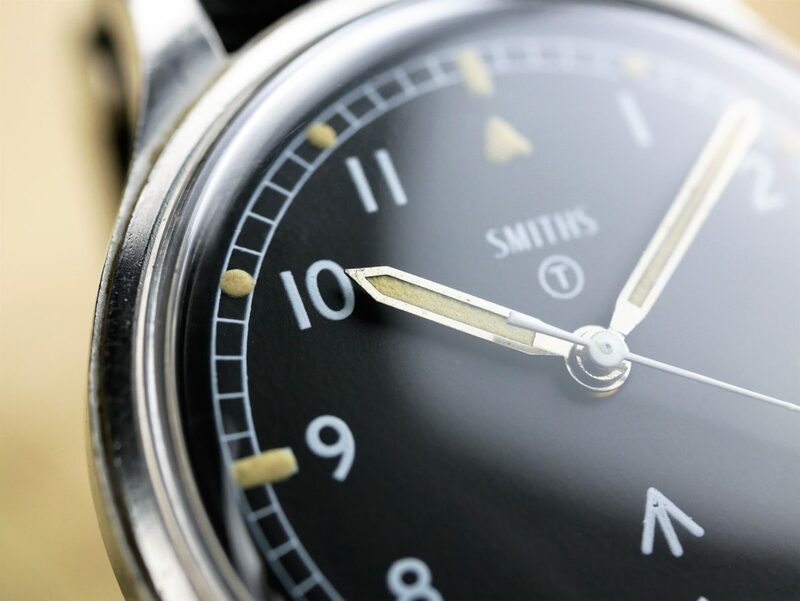 Smiths have a grand history in the UK as watch, clock and instrument makers. 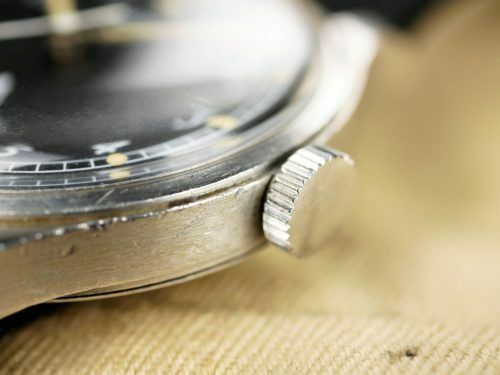 They have secured a place in history as having been watchmakers for the British military and Smiths watches even accompanied members of the first Mount Everest Expedition. 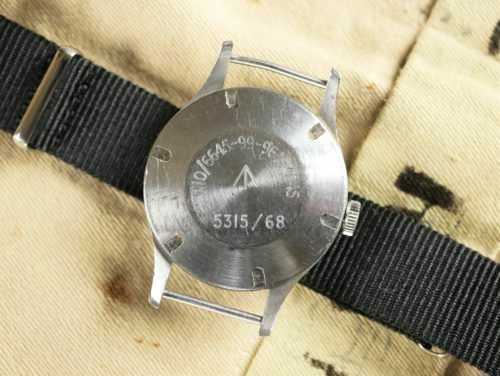 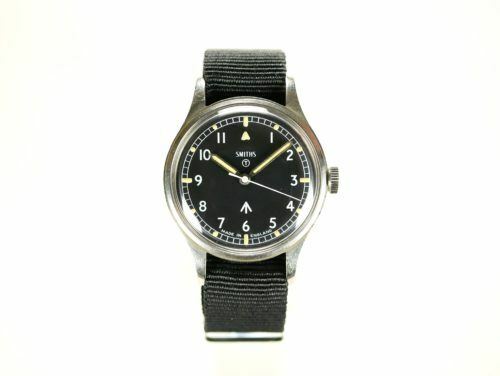 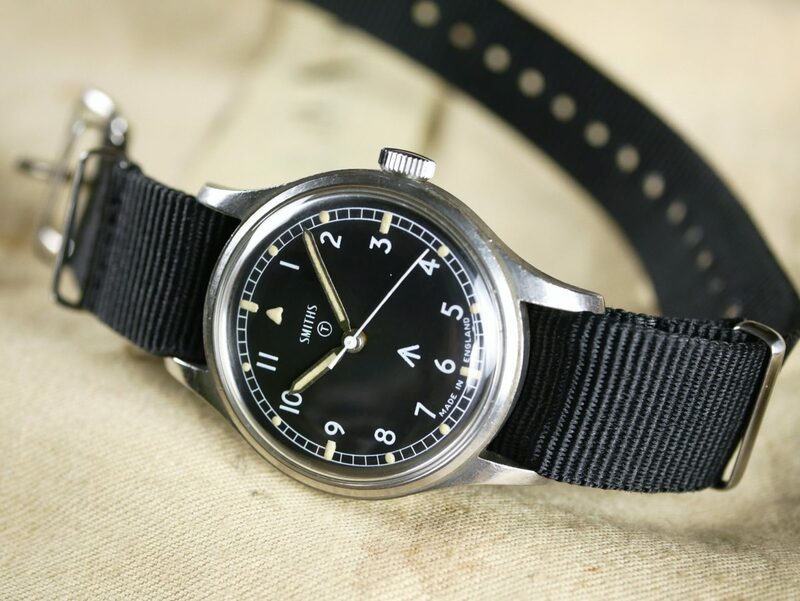 Sadly, the era of Smiths as military issue watches came to an end in the early 1970’s. 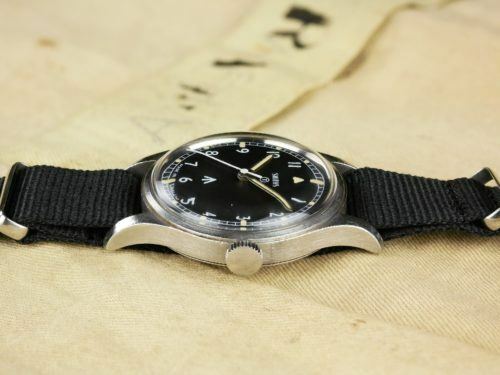 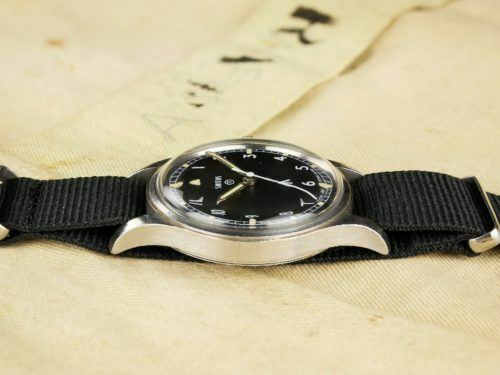 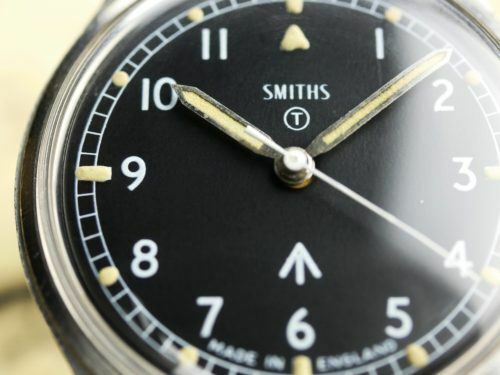 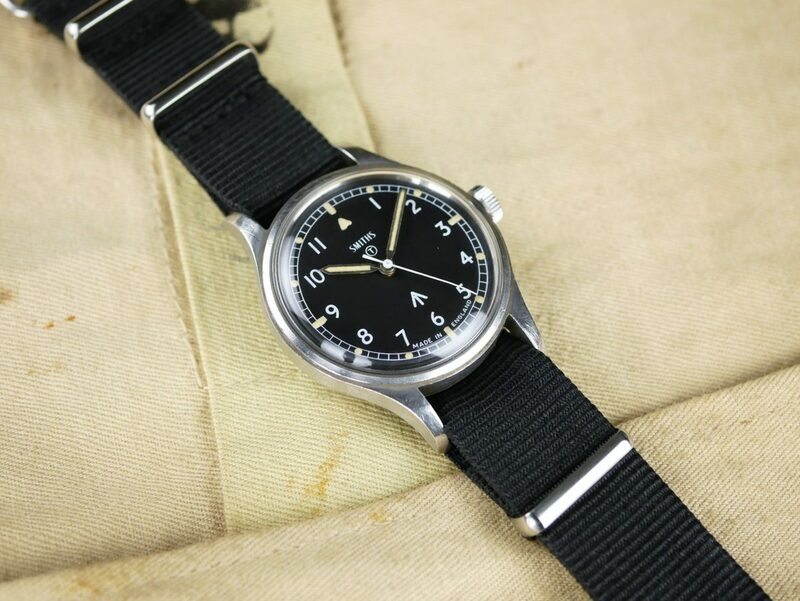 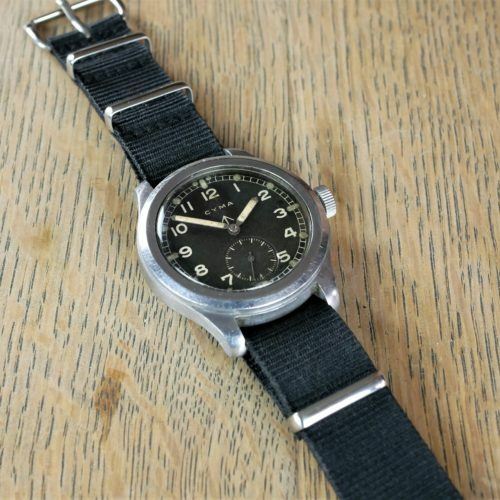 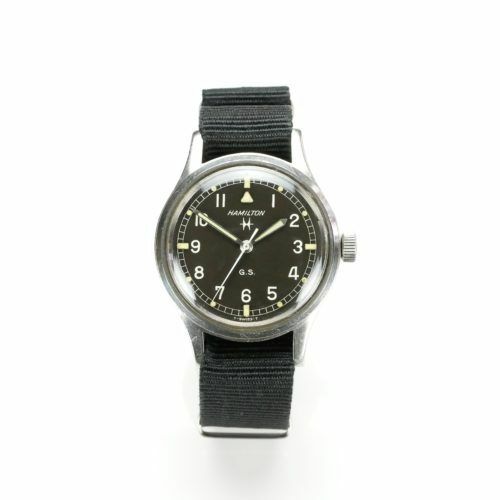 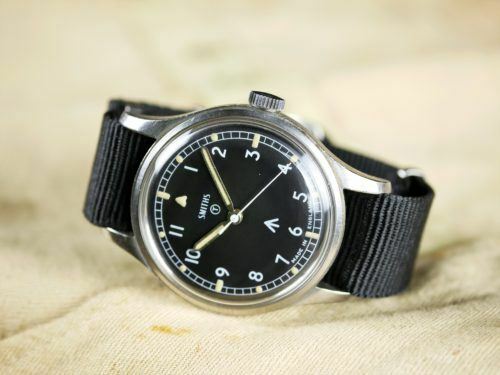 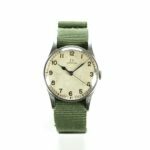 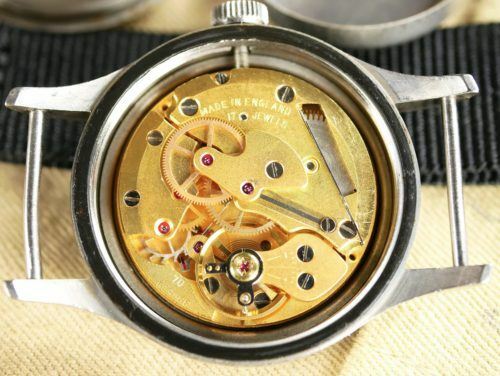 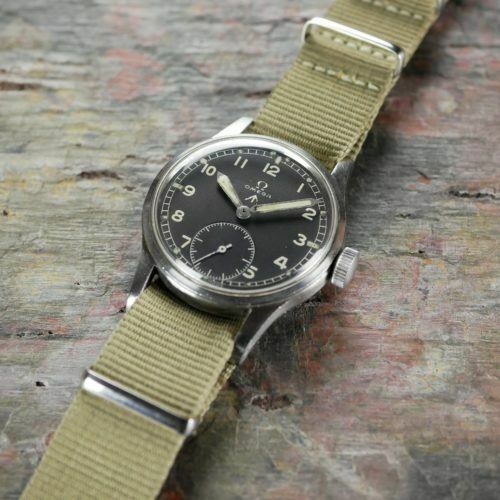 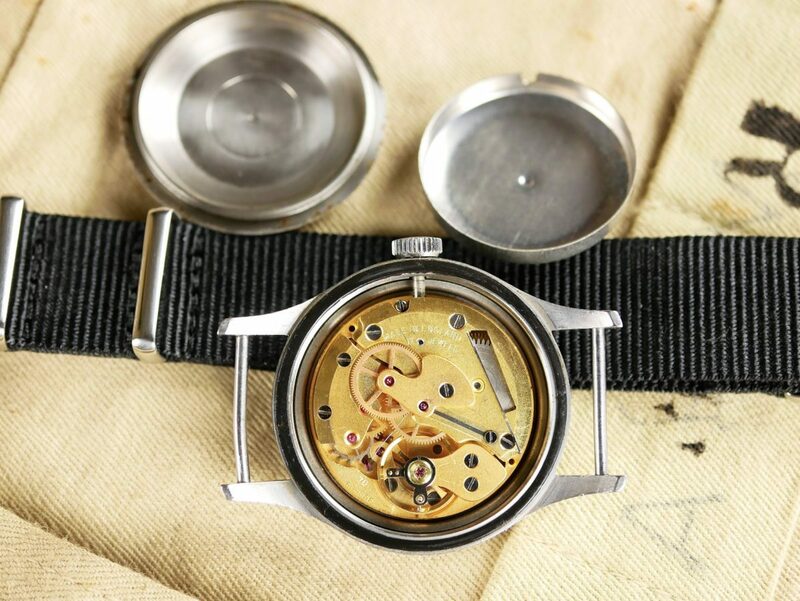 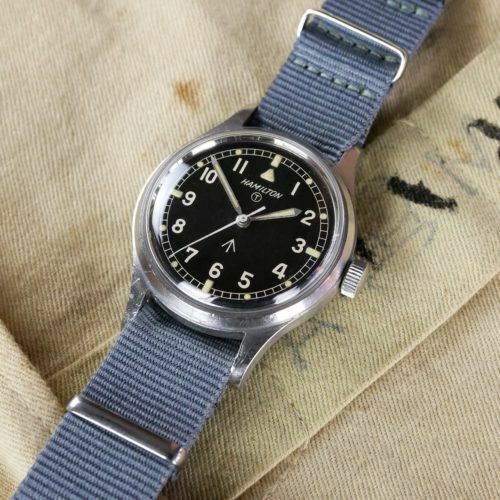 The Smiths W10 was the last ever mechanical wristwatch to be produced in the UK to be issued to the British Army. 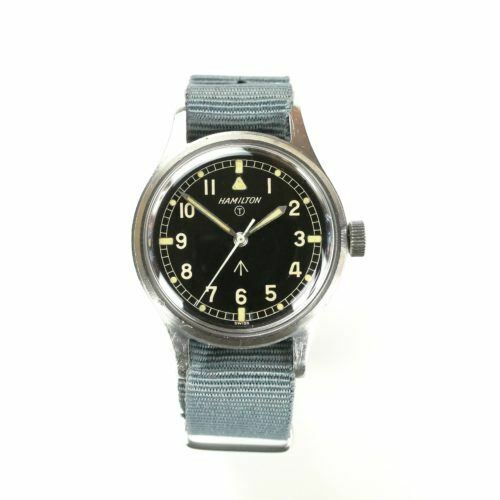 As such, it is held in high regard by watch collectors and military enthusiasts alike. 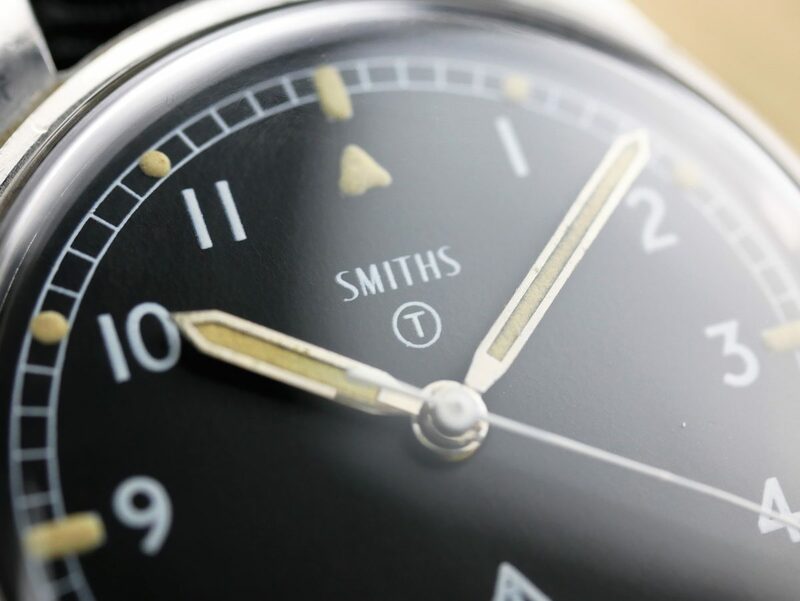 The Smiths W10 for sale is in excellent overall condition having been recently serviced by our highly skilled and experienced horologist. The dial is in excellent condition with no obvious flaws or blemishes. The sword hands, seconds hand and crown are all correct to the original specification of the watch. The casing is in excellent condition with very few noticeable marks or scratches. 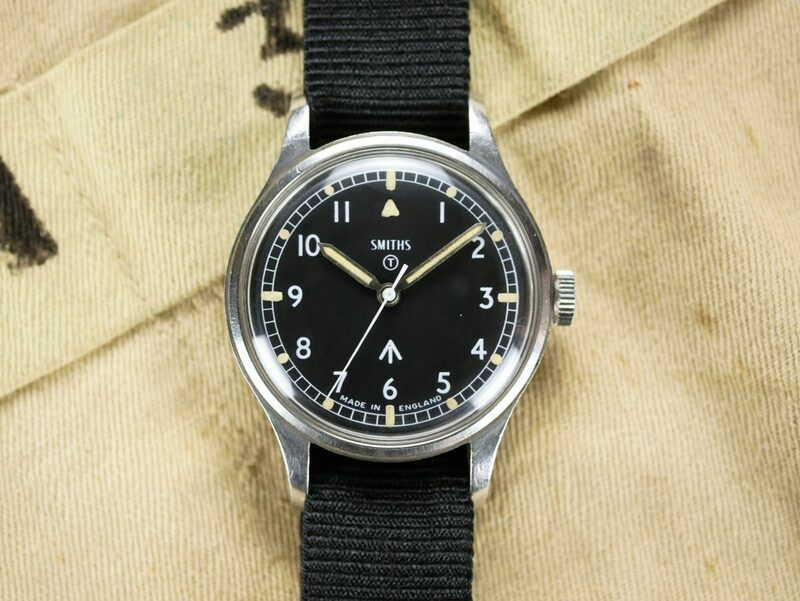 The Smiths 60466E calibre movement is in beautiful condition and includes its original magnetic deflector dust cover. 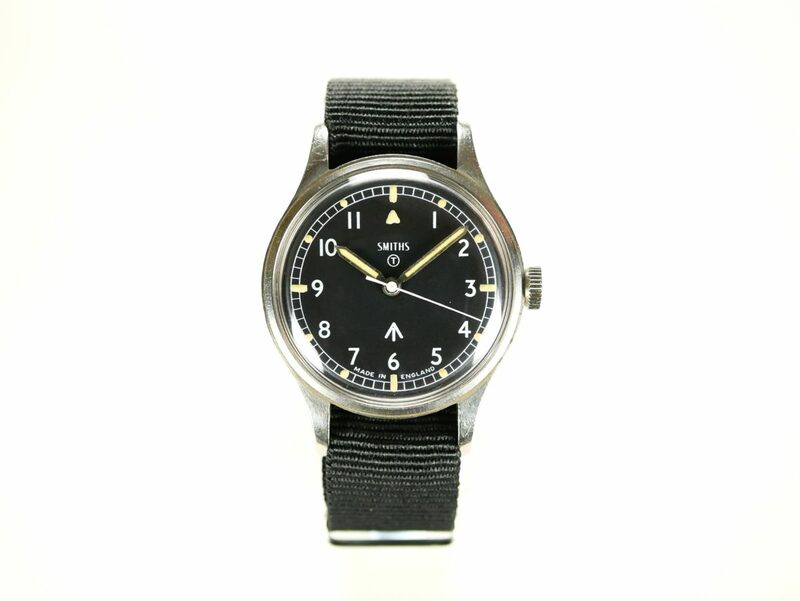 The watch is currently running well and keeping excellent time. 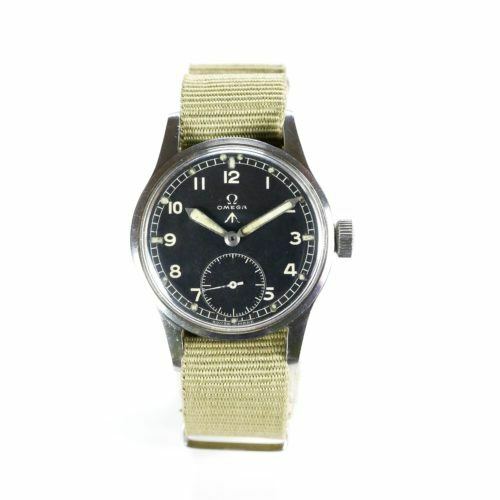 The watch comes complete with a free six-month warranty, newly fitted NATO strap and a quality handmade leather watch pouch.